What Is the Purpose of a JCAHO Accreditation? The Joint Commission on Accreditation of Healthcare Organizations (formerly known as JCAHO), is a nonprofit organization that sets standards by which medical facilities operate. Although Joint Commission accreditation is strictly voluntary, medical facilities often have trouble maintaining their reputations if they can't pass reviews or lose their accreditation. Medical facilities applying for or trying to maintain their accreditation must allow Joint Commission auditors to review their patient care, record-keeping, financial administration, nursing standards, ethical policies and any important incidents or regulatory problems a facility may have experienced. Medical facilities most benefit from a Joint Commission accreditation because of its prestige. An accreditation tells patients and the community at large that a facility operates at a standard they can trust. 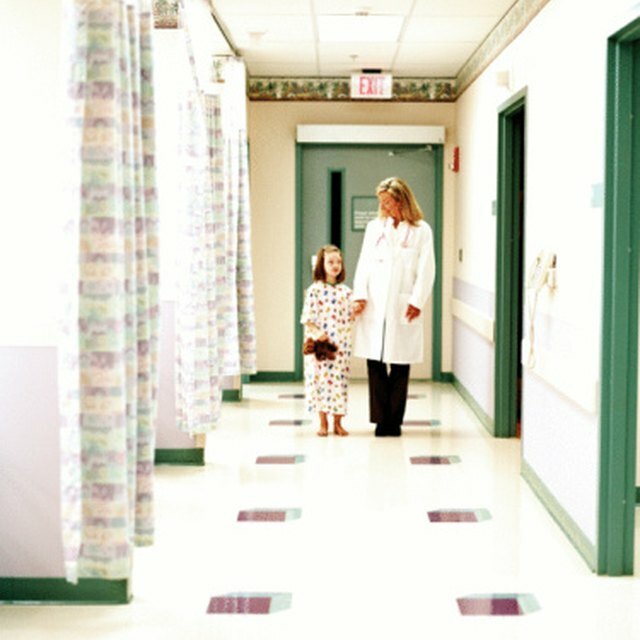 Although the Joint Commission looks at other aspects of a facility's operation, consumers can take comfort in knowing that accreditation involves an extensive investigation of a hospital or skilled nursing facility's nursing care, medication management, patient privacy protocols and safety standards. Typically, the Joint Commission holds a higher standard than state departments of health. Because of the Joint Commission's high standards and respected work, the Center for Medicare and Medicaid Services (CMS) has given the Joint Commission the ability to audit hospitals for Medicare compliance. CMS accepts Joint Commission accreditation as proof of a hospital's compliance with federal Medicare regulations. Hospitals that fail to obtain accreditation or choose to not apply must instead undergo a direct compliance audit by CMS. Hospitals handle sensitive personal and financial information. Not only does the Joint Commission concern itself with hospitals' ethical standards in dealing with these sensitive materials, but it looks into billing procedures and accuracy. The Joint Commission audits for intentional and accidental billing errors. In turn, this saves patients, insurance companies and taxpayers money. The Joint Commission advises facilities on how to tighten up systems to avoid errors and prevent fraud. To legally operate, medical facilities need licensing and accreditation from their state departments of health. Although state standards are designed to protect the public, they aren't usually as stringent as Joint Commissions. Additionally, most states don't have the resources to afford audits as lengthy and involved as those of the Joint Commission. By focusing on meeting Joint Commission standards, medical facilities also ensure they will pass state inspections. This is why hospital management teams tend to encourage their employees to achieve and maintain Joint Commission standards at all times.